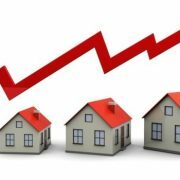 When purchasing an investment property, there are several factors that could increase or reduce your potential return on investment. In this case it’s not just location, location, location. When considering a property for investment purposes, the most important question to ask is ‘will be attractive to tenants?’. But how do you know what will appeal to someone you’ve never met? Settling on a handful of locations is a good start. “Young families and couples are the ones that drive capital growth and so a location that is within a reasonable distance to schools, entertainment, transport, and an employment hub is one to look out for. Other ideal factors are a low vacancy rate and relatively high rental yield. Although location plays a major role, it’s by no means the only defining factor. There is a mistruth a lot of people subscribe to when buying investment properties, which is to disregard the quality because you don’t have to live in it, but you do have to buy a homeowner quality property, because someone has to live in it. Also, when buying an investment property, you have to have an exit strategy, which will generally involve selling to homeowners as well as investors. To get the most value, you need to think about the demographic of renters who are likely to be living in the area. You also have to match the property with the area. If you put a good quality, decent sized, one-bedroom apartment in the inner city, it would be a great investment, however if you put it 30km out, it wouldn’t garner as much interest. When investing in any kind of property, be wary of any danger signs. 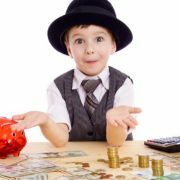 One of the biggest mistakes Australians make is not knowing what their cash flow is. A poor cash flow is worse than paying too much for the property. It is vital to know how much your chosen property is going to cost after tax, every week after you settle. There’s no point in buying a top-quality property if it’s going to send you broke. When looking to purchase an investment property, ensure the expert you are dealing with is actually an expert. And be wary of somebody who tells you that their way is the only way to invest. Do your homework and talk to several people for their opinion. It is possible for people to launch into the property investment market in their early twenties – in fact, this is a great time to start, when you are first launching into your career and don’t yet have any other financial responsibilities such as a family to support. 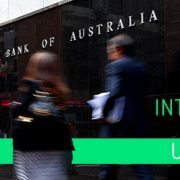 The Reserve Bank has kept interest rates on hold at the historic low of 1.5 per cent for the 19th consecutive meeting.